Newcomer Family Obituaries - Howard Jean Goodman 1934 - 2018 - Newcomer Cremations, Funerals & Receptions. Howard Jean Goodman, 84, of Littleton passed away on December 3rd, 2018. He was born in Baxter Springs Kansas on January 21, 1934. Howard joined the army during the Korean War and returned to pursue work as an electrician in California eventually returning to Kansas. He joined his father at Boeing and Cessna working as an A&E mechanic. He was passionate about protecting workers rights and started the first Air Craft and Machinist Union in Wichita Kansas. Howard moved his family to Colorado in 1960 and began his career as an electrician eventually starting Rite Way Electric. He was active in IBEW Local 68 as an electrician, Business Agent and Electrical Contractor. Howard loved the mountains, exploring mines and travel during his lifetime. As a child of the depression, he learned how to fix anything which his family always called upon him for advice or to provide guidance during construction or renovation projects. He is survived by his wife of 40 years, Norma (Fullenwider), stepdaughter Terry, daughter Patty, son Mike, step children, Jim, Ann and Shera, 11 grandchildren, 15 great-grandchildren, brothers Mack and Monte, sister Beth and numerous nieces, nephews and extended family. Memorial donations in memory of Howard can be made to The American Heart Association. Add your memories to the guest book of Howard Goodman. Uncle Howard was my favorite of all uncles. He flew to Tennessee to care for my son , Ashton, when he was 5 and my husband was in the hospital. I came home from work to find Ash standing in chair beside Howard at the stove ! He was making them his “famous fried Bologna” sandwiches. He also came to my rescue to do the electrical wiring on my office when my dad’s memory didn’t allow him to do it. I also have great memories of Uncle Howard from my childhood. I remember going to visit and him letting us get in the hot tub but only if we would jump out and roll in the snow! And of his trips to see us in Kansas when he’d drive the RV and bring his beloved Chico. 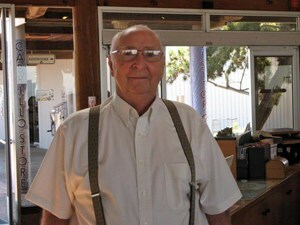 I will miss Uncle Howard but I know he is now with my dad , his brother , and they are having a blast!